Diaz was in-studio to co-host the show and discuss all the MMA happening this weekend, as well as his successful podcast and comedy career. Oddessa joined the show to address the sudden movements in the betting line for Kimbo Slice vs. Dada 5000 at Bellator 149. 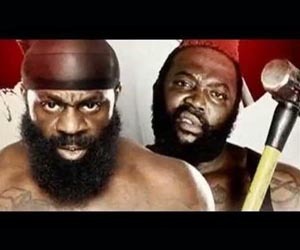 Evans-Smith competes Sunday night against Marion Reneau at UFC Fight Night 83 in Pittsburgh..
| Title:Kimbo Slice vs. Dada 5000 at Bellator 149.